Jupiter, Fla. – On Thursday, September 22, Nitrogen Bar, Grill & Sushi transformed into a cocktail-infused paradise during the Cystic Fibrosis Celebrity Bartender Bash. More than 250 guests gathered around Nitrogen’s bar to enjoy Prohibition-inspired craft cocktails, wine, and draft beer served by local notables, business owners, and reality TV stars. The highlight of the evening came when Tamra FitzGerald, CEO of Venue Marketing Group, was named “Top Bartender“ for raising more than $1,000 in tips. 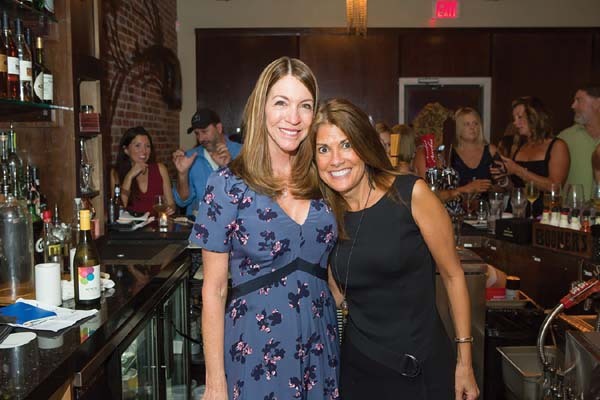 The charitable fête raised more than $5,000 to help benefit Cystic Fibrosis Foundation Palm Beach and its public outreach programs. The Cystic Fibrosis Celebrity Bartender Bash was a special kickoff event to the 20th Annual Arthur’s Jam being held on October 15 at the International Polo Club in Wellington, Fla. For more information or to purchase tickets, please visit www.arthursjam.eventscff.org .